Все видео пользователя: Erica Griffin. This device was released back in October but I have finally had a chance to take a look at it. 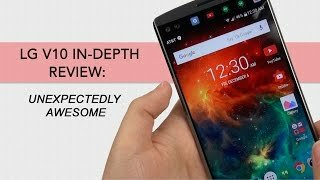 It has exceeded my expectations in some areas and matches every other flagship device in others. It's those stand out features that make the V10 well worth it! It is a true multimedia phone for the power user!